Baker's Hole Campground is located in the Gallatin National Forest in southwest Montana near West Yellowstone. 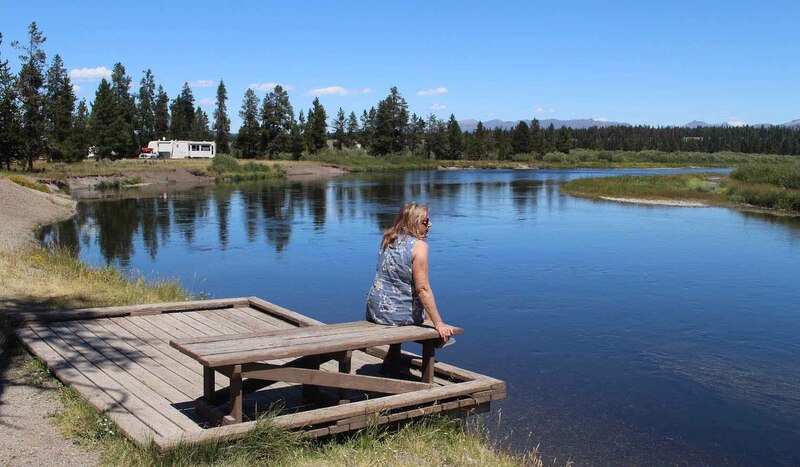 At an elevation of 6,500 feet, the campground encompasses 25 acres and has the basic facilities including water, trash pickup, firewood for sale, and 73 specified campsites. 33 sites have electricity at an additional fee. Tents welcome. Handicapped facilities are provided. Groceries, food service, and laundry facilities are available within 3 miles of the site. Maximum trailer length is 75 feet. Fishing may be enjoyed in the area. Feel free to bring pets along but they must be kept on a leash in the campgrounds. Please limit stay to 16 days. A fee is required for the use of this campground.